Joette Calabrese noticed my increasing interest in essential oils these days and offered to write this guest post on how homeopathy can be used with essential oils for healing and for natural earache remedies. Thanks Joette! Homeopathy’s reputation for healing is unmatched. This is why many of us depend on it exclusively. With homeopathy, ear infections can become a thing of the past, colds can be gently put to rest and sleep is restored. This is good news for those who are new to homeopathy and hope to use essential oils as an auxiliary method for earache remedies and other common ailments. Between the two methods, you’ll witness gentle, yet powerful healing. Whether you’re a new or veteran user of homeopathy, you may know that certain essential oils, like tea tree oil, mint and eucalyptus oil, (in sum, any aromatic oil) can antidote homeopathic remedies. That means that they have the potential of rendering the remedies useless. Luckily, the chief essential oils for ear infections will not antidote homeopathic remedies. Because we are working with two different paradigms, the way we select the oil and correct homeopathic remedy is different. Let me explain. When discerning the correct essential oils, we base our decision solely upon the pathology, or the illness. For an ear infection, regardless of the type of pain or the pain’s location, you choose the essential oil that’s been assigned to that illness. It’s usually that simple. With homeopathy, it’s more complex, yet more simple. You don’t choose a remedy based on the pathology, that is, there isn’t one remedy for ear infections, and then another remedy for headaches. Of course, there are commonly used remedies for ear infections (and I have a few listed below), but these are chosen depending upon the symptoms with which the individual presents. For example, the type of pain, the location of the pain and even the persons’ disposition must be considered. In short, the homeopathic remedy is chosen based on the symptoms that present, while essential oils are determined by the illness. Remember this key difference and you’ll receive the fullest benefit from these two, polite, curative treatments. Since essential oils are usually easier to choose, I like to suggest that you begin with them when approaching an ear infection. It will provide initial relief and buy you some time to decide on the best homeopathic remedy. You might ask, why even go to the homeopathic remedy when you’ve already employed essential oils? My answer is…because homeopathy is curative. That means that it will not only address the infection at hand, but it can also cure the propensity for the infection’s recurrence. Homeopathy goes that deep. The essential oils that I always turn to for ear infections are lavender, Roman chamomile, and rosemary. Remember to never place essential oils directly in the ears (or the eyes, or any orifice for that matter), only diluted along the outside of the ear. –>Dilute 15 drops of essential oil in 1 ounce of warm olive oil or coconut oil. Apply 2 drops of this mixture to a cotton swab and trace the skin around the ear, again, not in the ear. Without formal training, you can find the best remedy to use on your own. Remember to pay close attention to the symptoms you see and find the remedy that best matches them. Below are the chief symptoms of each of the five most common homeopathic remedies. Once you’ve found the best-matched remedy, give up to four doses; one dose, every 3-4 hours. If after four doses, there’s no significant improvement, move on to the next best remedy. If there’s improvement, it can be discontinued. But if there’s a relapse the next day or so, then repeat the same remedy. If the child falls asleep, congratulate yourself; it means the remedy is working. Re-administer if he/she awakens with the pain again. Remember, if the symptoms have significantly improved before the fourth dose, you may stop administering and enjoy the calm that often follows. Belladonna…This remedy is most common for early stages of earaches; the more rapidly the pain ensues, the more likely that Belladonna is the correct remedy. The need for Belladonna is also indicated by a bright red outer ear and either a high fever and/or noteworthy pain. The pain may radiate down into the neck and into the throat. Ferrum phos…Use in early stages of earache with no pus formation. The onset and symptoms are not as sudden or as intense as Belladonna. This can be given if Belladonna is not working. Be sure to give Belladonna its full 4 attempts before hopping off. Chamomilla…This remedy is mostly indicated by the mood of the child and less by particular symptoms. The child is extremely irritable. These earaches come on slowly, but the pain is severe and the child is fractious. That is, nothing seems to satisfy him. The pain somewhat improves with warmth and there is commonly a watery, runny nose. Silica… The need for this remedy often presents in the later stages of an ear infection. The pain may be intense but is typically behind the ear. The ear itches and there is a stopped up sensation. Pus formation and drainage are also indicators for Silica. The child whimpers mildly but is less interested in affection. There is physical weakness, tiredness and the child is worn out and chilled. They are irritated by noise. The hands, feet and head are sweaty and there is nasal discharge. Pulsatilla is a lovely remedy for when a child is clingy and needy either during the ear infection, or in general. It’s more of a little girl’s remedy as she can be sweet and flirty until you don’t offer affection. Then she can be demanding of her mom’s time. All this little one wants is to be held and loved. A desire for cool creamy foods is often an indicator for Pulsatilla and sometimes an ear infection occurs shortly after having had ice cream. Cool wind is appreciated as well as a good long snuggle. Essential oils and homeopathy are a first-rate team for earache remedies or when treating ear infections. Have these essential tools at home so you’re never caught off guard. And when your child’s pain has been cured, you can relax and say “I did it myself…and without drugs.” Then have a cup of tea, relax and soak up the most satisfying and rewarding moment in a mother’s life. How to make elderberry syrup for a natural cold and flu remedy! Do you use homeopathy for healing remedies around your house? Let us know how! 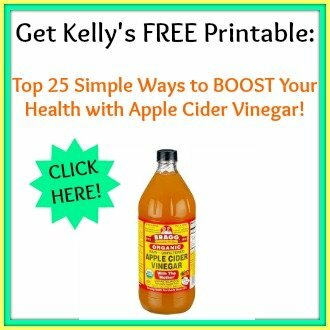 DON'T FORGET to get your free printable by clicking here: Top 25 Simple Ways to BOOST Your Health with Apple Cider Vinegar! 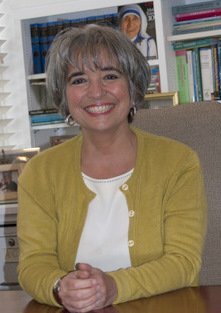 If you yearn to learn, check out Joette's courses here! We use garlic ear oil, and it works wonders! I always start earaches with hydrogen peroxide in each ear for 10 minutes. Then I use heating pad for pain. Next I get them to a chiropractor. My chiropractor recommends olive oil on a cotton ball in the ear. You can buy mullein oil from the health food store. All of these usually are effective. Essential oils are new terrain for me; thanks for this article! Stacy – did you read any of the above? Did you go to the blog post and read the comments? What kind of defense are you looking for? Not one person has taken me up on defending this nonsense. Any doctor that tries to tell you this snake oil works is one you need to stay clear of. The burden of proof is on you. Show us something which says it doesn’t work. Drugs don’t work for everyone either because drugs are a one-size-fits-all thing, meaning 100 mg of something that works for a 200 pound man is also given to a 14 pound baby? Yeah, that rings of truism. Do some further research and if you bring article links here, do not include anything from the wiki line, nothing from a .gov web site, nothing from webmd or the like. Try PubMed or something more reliable and non-biased. And, BTW, good luck with that because there are few non-biased sites or journals available to the average joe. You think it’s nonsense. Many here do not. What is your problem with what others believe? Do you believe in placebos? Lots of information around on that subject, so just because it’s not something mainstream doesn’t mean it doesn’t work for someone. Herbology is very powerful, too. TCM has been using it for 2,000+ years and I’m not going to argue with them. But I’d like to see you produce evidence (not opinion) that EO’s or homeopathy is “nonsense”. Truly. Drag it out and bring it to the table. I have been using therapeutic essential oils for over 20 yrs & swear by them. I use a special blend to help with heart burn & indigestion, use Lemongrass to keep cholesterol down, Lavender is great for unwinding & sleep, Frankincense & Oregano for infections & so much more. These have worked so much better (& healthier) than any pharmaceutical for me. Allopathy for emergencies, Herbology for chemistry, Homeopathy for electricity. They’re all valid. Herbology is all we need 90% of time. Arnica tabs 3 days prior to all four wisdom teeth being extracted. No pain no swelling ..period. Plus, I think babies are the ultimate test. I have used one remedy on my baby for teething and it wasn’t the right one. He was still crying. Used a different remedy and he stopped screaming and was calm and happy. When it flared up again I used the first remedy once again and it did nothing. Used the second remedy and he stopped crying. Babies don’t know how to lie. If you put something in their mouth and they are still in pain- they still cry to let you know. They clearly stop crying when they aren’t in pain any longer…. Also, Homeopathic remedies got rid of my son’s dry patch on his leg when nothing else worked….. We believe in the household! I live in Germany and medical professionals use it all the time. Often docs use modern meds in conjunction with homeopathy. In fact, there are homeopathic pharmacies! An entire country isn’t wrong. Germany has very high standards and very very strict regulations. She doesn’t know what she’s talking about. Just ignore people like that-no one will change her mind. Don’t expend your energy and time on her. I’m sure glad I saw a smart duck as a child, then. The discovery of several food allergies changed my life. Anyone who thinks homeopathy doesn’t work needs to get some SinusBusters and squirt it up their nose. They will know there is plenty of capsaicin in there to do the trick. True homeopathy or Just natural remedies? @Brandis I’m here, I’m willing to read, and I think that homeopathy is complete hooey and I’m disappointed that one of my trusted blogs actually believes in this ridiculousness. Give me your response because honestly I can not believe that any of you can say that it’s anything more than water or alcohol. Hilarious that Wikipedia is the reference. I thought about writing a response, but I am tired of wasting my time and effort writing responses to people who probably never read them and in the case they do who refuse to consider different opinions. Sigh. Love seeing you explore this topic, Kelly. We’re believers in Homeopathy here. Having an experienced Homeopath to consult with is key to success. It has worked for my family. Especially for emotional issues, teething, colds, and trauma. Although we do not use it as a stand alone. We use herbs, oils, proper nutrition, fasting, and detoxification. We use allopathy for emergencies. Wikipedia is the source of her research? Doesnt she know that anyone can post on there?? One of us can go on there and completely change the article she read and state that homeopathy is NOT quackery. Then what would she think? Yes, Wikipedia can be edited by Anyone! About 100 yrs. ago, homeopathy was actually much more common than what we consider “normal” medicine. It is certainly worth a try, I used it a few times with my children for minor ailments. But, feeding them real foods, raw milk, grass fed beef, etc. they very rarely got sick. Only one got one ear ache their whole childhood. (And she was the one who would eat too many sweets. White sugar lowers the immune system.) Of course, if you suspect something really major, out of the ordinary, etc. it is good to get another opinion and have a good MD as a backup. We found a great one! Which is quackery? The treatment that gets rid of the problem totally? Or the treatment that leads to more and more infections? Lots of my friends’ children had 6 or 8 ear infections every winter! Going to the MD for antibiotics every single time. I would go for 1) a good diet, limited sweets and ‘junk’. 2) vitamins, sunshine, or some type of Omega-3 oil * krill, fish liver, etc. 3) a regular schedule so they get plenty of sleep 4)then, if they do get sick, herbs, homeopathy, chicken broth, unless you suspect something major….Our health care bills would be so much lower by following common sense, old-fashioned traditions. Dr. Mendhalson’s books are great! I’ve practiced Homeopathy with my family for over 5 years, we never visit the doctor (my children don’t even have one) and have never used a single OTC. *IF* there is an emergency I will definitely allow allopathy, and that’s what hospitals are for anyway. I don’t need to visit a doctor every year to tell me my child is fine – besides, I’m with him/her 24/7, how many times a doctors sees a patient-child? Obviously, she’s never met anyone who’s life was saved by it. I used to work for a pediatric office years ago and the number one reason moms brought their kids to the doc was because of fever. I wish I could encourage every young mom out there to read Dr. Mendelsohn’s book (even if they ONLY read the chapter on fevers) because it’s some of the best advice you can get for a few bucks at any book selling site online. A fever is nothing to fear, but if a kid runs a temp of 100, mom’s are screaming for a doctor. It’s ridiculous. But it’s because they don’t understand why the body induces a fever in the first place. The name of the book is How to Raise a Healthy Child In Spite of Your Doctor. He was a pediatrician for 30+ years, thus he’s no novice when it comes to treating kids (not to mention how he raised his own). Interesting stuff. All of his books are worth reading and I have them! I can understand not wanting to overdue conventional medicines and all, but homeopathy is just quackery, according to Wikipedia. Look it up. You can’t accuse Wikipedia of having an agenda or being on anyone’s payroll. As they point out, homeopathy is no better than a placebo. There’s often virtue in letting your body repair itself, and if homeopathy or placebos “help” with that, I guess it’s OK. Still, I wouldnt want to become such a believer in this that I avoided real medicine when its called for. Homeopathy is 200 years old. It is used extensively in Europe. If it didn’t work, people wouldn’t use it. Many people have accused wikipedia of bias. Anyone can be an editor on wikipedia. I use it a lot but not for medical things. The AMA has been proven to be nothing more than an allopathic doctor guild and has been sued and lost for the way it handled chiropractors. I’d hardly say that Wikipedia has the final say on anything. Keep researching to find some other points of view and learn about the history of homeopathy. I believe it is somewhat effective. It’s been around for a couple of hundred years. Personally I find straight up herbalism to be more effective especially with its history spanning thousands of years. Some people would also tell you that raw milk, organic food and chiropractic are quackery, too, but they’re wrong . . .
And I don’t think anyone suggested avoiding medical care no batter what. I do, however, believe many people run to the regular doctor at too much. Mostly because they feel helplessly under educated about treating basic illness. Thank goodness we have resources like this blog to keep expanding our knowledge. A few years ago as a tech in the emergency room I would have agreed with you. Fortunately I got desperate enough to try anything when my son was diagnosed with a serious autoimmune disease. Diet was not enough, he still had pain that went away when we started having him treated by a homeopath. There is no way a three year old is affected by a placebo and we made no other changes besides trying a remedy for his illness. It is shocking to see how quickly homeopathy works as soon as you find the right remedy. Janie… sorry but you are wrong. I have done homeopathy for 5 years with MY CHILDREN and it does work. I’m sorry you have been brainwashed that conventional medicine is the only way to go. It is NOT. This is a great post. I learned a lot. So for anyone struggling w/ ear infection, I thought I’d through this is. Of course, I’m sure that no two people are the same, but I’ve heard many moms say that allergies were a significant factor in their kids health too! Glad you were able to find the cause of your daughter’s issues – so often our doctor’s just treat the symptom, not “cure” the problem. It’s just the way they are trained, not a reflection of doctor’s – there are MANY excellent ones out there. I am very interested in this topic – and will be studying it further in the near future, so thanks Kelly for the education! We’ve only had to deal with one ear infection as of yet with our kids. I was so grateful for homeopathy and my growing ability to be patient with the body’s healing mechanisms. Your comment about learning PATIENCE is very significant. We’ve all been trained to want and expect the quick fix, but now that we know quick fixes aren’t always effective OR safe, part of the process of moving toward more natural remedies is just that, learning patience.